The bicycle tour (above) was in 2006. The tall one is Amanda Barrett. The not as tall one is Abby DeWald. Amanda and Abby are partners in life (since 1999), as well as comprising the Ditty Bops. Amanda also is a really, well, tall, comedian (who's damn oh so funny in addition to the whole being tall deal), and can be seen doing awesome sketch comedy in the group Pretty Things. Here is some more stuff about Abby who while she seems overshadowed by Amanda (cause Amanda's tall; try and keep up please), but if Abby weren't to be there, you'd miss her about as much as oxygen. Yeah, she's that wonderful. Plus talented. I love Abby's voice. Their 2007 tour went to farms. Cleverly it was named The Ditty Bops Farm Tour. 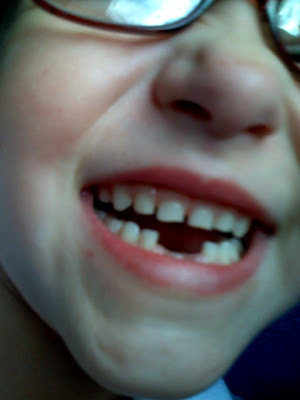 On August 12 at the Portland show, Abby tried to pull out her niece Lucy's loose tooth during the show. On camera. Have you ever had a demo that went well? Imagine throwing in your six year-old niece Lucy, a live audience, a background piano accompaniment in mocking counterpoint to Lucy's laughter. And an audience hysterical on the floor. Anyway, here is the link to The Ditty Bops TV Show #02: Exercise Routine. Where we see Abby teach us advanced jump-rope, and Amanda do jumping rope (she's a beginner), but then Amanda shows us her famous Parking Lot Workout. Hysterical. And very, very much them. I like these ladies. Highly recommended. Enjoy enjoy. Goodness and just pure fun. h/t TBogg several weeks ago.